Once you’ve decluttered your home, you need systems to maintain order and organisation. 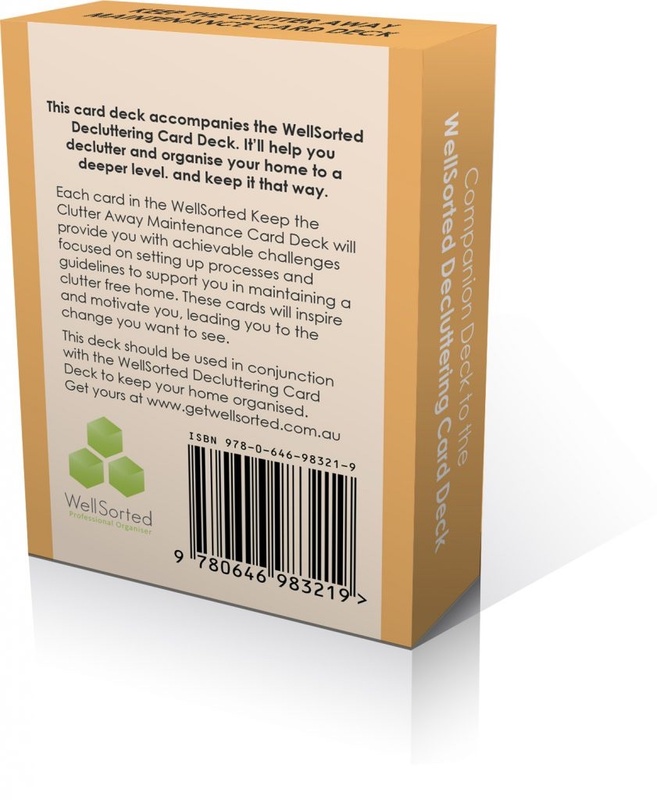 The WellSorted Maintenance Card Deck will help you keep the clutter away and goes perfectly with our Decluttering Card Deck. 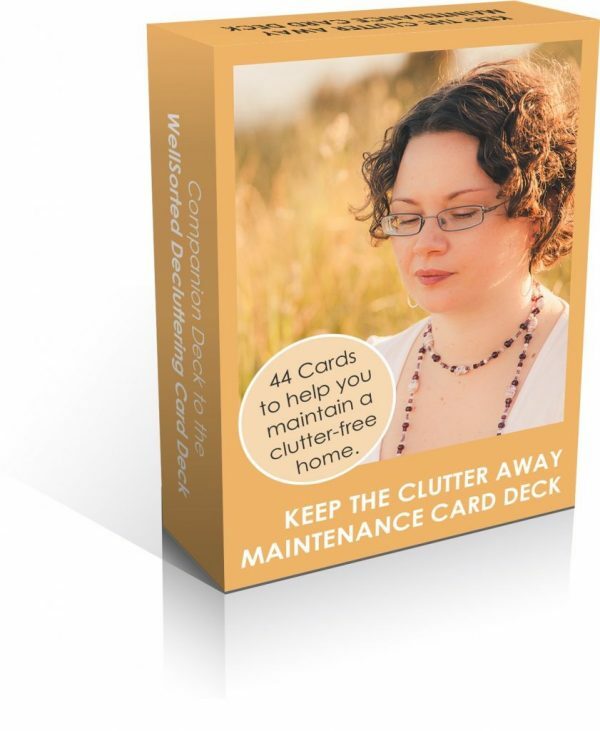 Keep your home organised with this practical and fun card deck of 44 challenges. 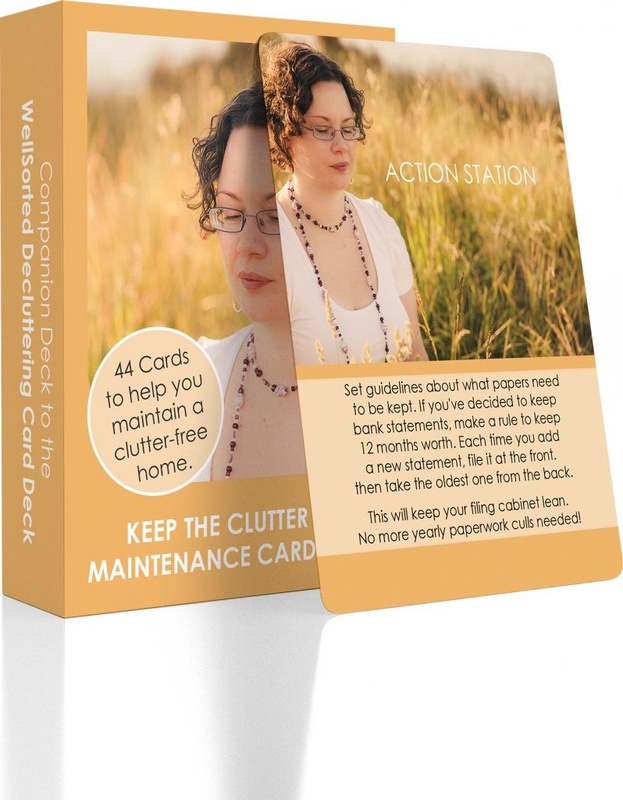 It’s like a mini self-help book you can work your way through, one card (and challenge) at a time, with detailed, practical tips to help you maintain an organised home. Take your organised home to the next level with processes and rules that help you maintain your home. And get motivated, supported, and encouraged to be more prepared, organised, and in control of your home than you’ve ever been before. 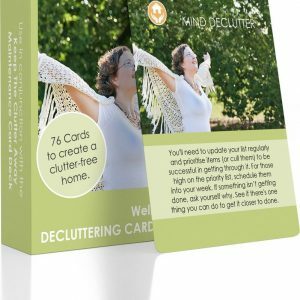 If you’ve already done some organising and you’re ready for the next step (after working through the WellSorted Decluttering Card Deck), or if you’re finding the clutter keeps creeping back in, this card deck is just what you need. Ready to order your pack? Add it to your cart or contact me if you have any questions. See more details on shipping, payment, and terms here.